Owning a home and having just as you want it can be a bucket list thing for many people. But as more and more people tend to just buy cookie-cutter homes, as they can be more affordable, they are getting the home part, but just not the home of their dreams part. So although the thought of building your own home might seem like a massive expense from the outset, depending on where you are buying and who does the work, you can spend similar money to buying a home outright; truly. 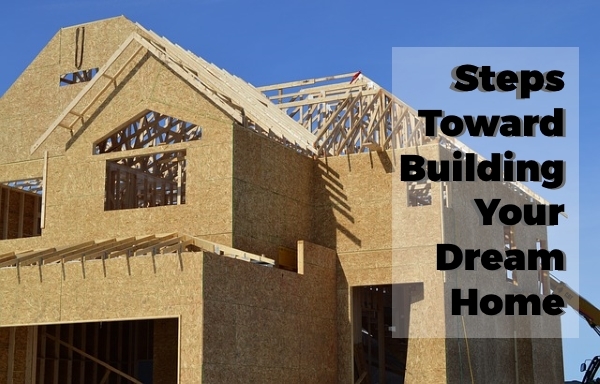 So if you think the home of your dreams can only be achieved through building it, then read on for a quick guide on how to get things started. Finding a plot to build on is going to be your first point of call. After all, you can’t build a house without some land. There are plenty of online resources to help, much like sites like www.malarvillan.se, for example. You may know of a local area that is for sale, or local people with some insider knowledge of where is for sale. So take your time to do some research to pick a plot that is large enough for what you need, but still in your price range. Speaking of the price range, you need to know what you’re looking at. Unless you’ve come into some money through something like inheritance, then the chances are that you are going to need some help with a mortgage for the home. You can’t buy a plot of land or have it built if you’ve got no finances. So that will be the next stop. How much of a deposit have you got saved? That can often mean more can be loaned to you, as well as showing that you have a stable income in order to make the repayments. Once you know what you’re working with and what you can afford, then you can make start on a budget. Many shows on TV can make it feel like building your own home can be a bit of an endless money pit. But if you’re building from the ground up, then it can be a really affordable thing to do and can go to plan. As long as your plans are in place and you’ve spoken in detail to designers and builders about what you want, it is likely to stick to a budget (as long as you’re setting yourself a realistic budget). There will be plenty of people that you can get quotes from to build the home; getting several quotes is the best idea. Then you can figure out what the best cost will be and if they are all similar, or if there is someone that is trying to rip you off. The designs are the next step, which is where the exciting things can happen. You may want to do it yourself, or alongside a home building architect, much like www.acarchitects.biz/. Just be realistic and check that certain things will be possible. But overall, to make it affordable for you, remember to stick to the budget that you have. Good luck!